Have you ever heard of Reykjavík? Perhaps not, but most likely you have heard of Iceland, the second largest island in Europe. It is situated just south of the Arctic Ocean and east of Greenland in the North Atlantic Ocean. 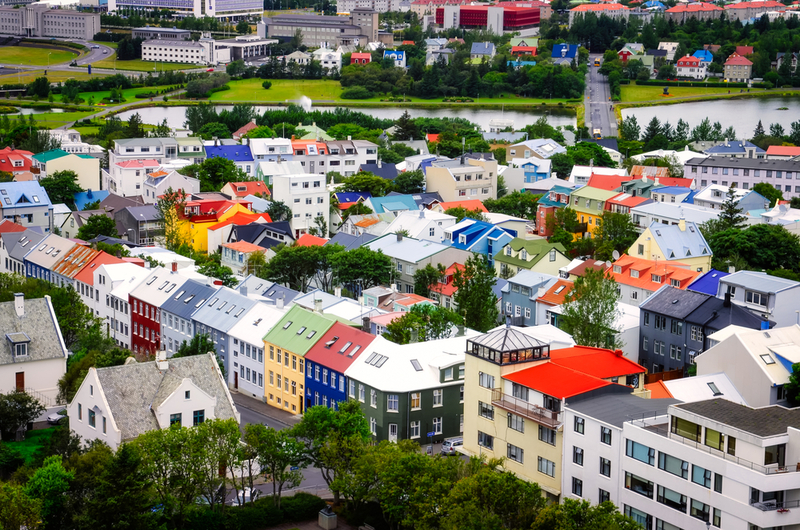 Reykjavík is the capital of Iceland, which is also the historic home of the Vikings. This magnificently unique destination is steeped in history and offers breathtaking landscapes, pristine nature and a thriving nightlife. Iceland’s terrain is just as rugged as its forefathers were centuries before. The small island is mostly rough, swelled and consist of mountainous lava deserts as its coastline is deeply indented by bays and fjords. Iceland has various plateaus and glaciers and is the most volcanically active regions of the world. The Icelandic population lives on only about 7% of the total land, with the center area of the island being totally uninhabited. Two thirds of the total population of 325,671 live in the southwestern region of the island, the Greater Reykjavik Area. With the warmth from the Gulf Stream, Iceland enjoys pleasant temperature climate. Lying between the North Atlantic and the Arctic Ocean, this Nordic country’s people are a Germanic ethnic group and nation. It is believed that the first permanent settlement in Iceland was established in Reykjavik around AD 870 with Ingólfr Arnarson becoming the first permanent Norse settler on the island. Centuries following, Norsemen (also known as Vikings) settled the island, bringing with them Gaelic (Irish, Scottish and people from the Isle of Man) slaves. Norway and Denmark ruled Iceland from 1262 to 1918. It became independent in 1918 and a republic in 1944. Historical records indicate that 60 to 80 percent of the people are of Norwegian origins and the rest are of Celtic origin from Ireland and Britain. The official written and spoken language is Icelandic, a North Germanic language. Icelanders are some of most educated people in Europe who can widely understand and speak English and Danish (compulsory subjects in the school curriculum). 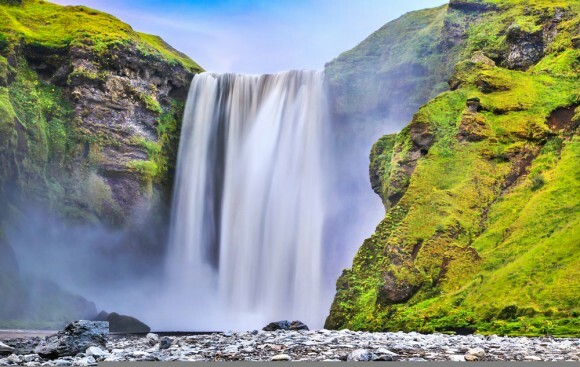 Iceland is a dream destination with its extreme landscapes- glaciers, waterfalls, floating icebergs, icy mountains, gushing geysers, hot springs, deep fjords and deserts of volcanic ash. 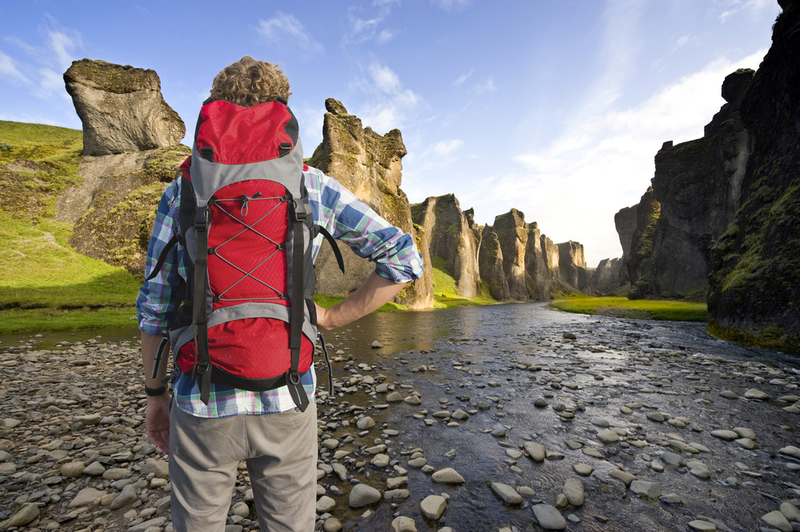 For those outdoor lovers, Iceland offers various exciting adventure trips and tours (at all levels) combined with Iceland’s best nature attractions including Northern lights and the Golden Circle. Visitors can also take a safe and easy glacier walk up onto an ice field to explore ice sculptures, ridges and deep crevasses. 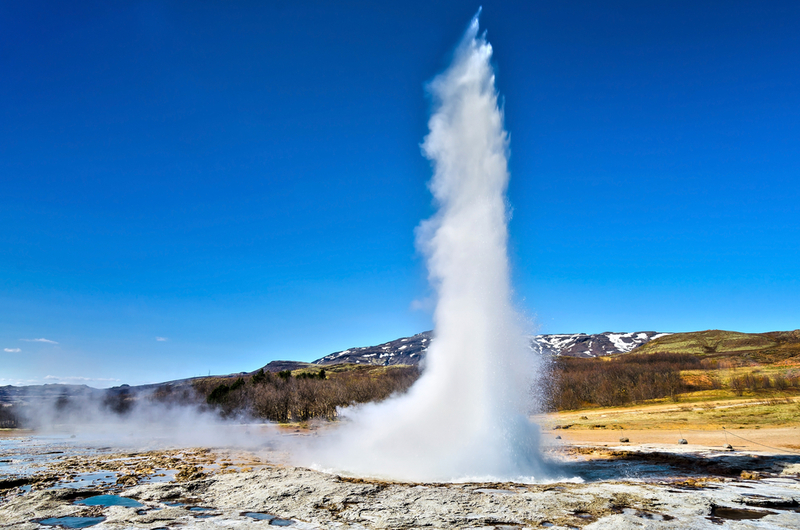 There are also tours to geothermal areas which include a hike to a series of hot springs where visitors can enjoy a nature bath in a warm stream. You also have the option to discover Iceland’s beauty on horseback in the spirit of the Vikings as you visit glaciers and other fascinating natural surroundings. During certain time of the year, you can take a drive into the night looking out for the mystical and magical Northern Lights. Or take a boat cruise and sail between icebergs of all shapes and sizes, floating around in the clear blue water. You can trek or hike on a nature reserve, between glaciers and on the newest formed lava from the 2010 volcanic eruption. Other outdoor activities are ice climbing, mountain climbing, backpacking, snowmobiling, four-wheeling, sea fishing, kayaking, swimming, skiing, biking and much more. Iceland’s answer to relaxation and therapeutic treatment is the Blue Lagoon, a mineral rich geothermal spa that is located in a lava field just outside the capital. The Blue Lagoon is one of the most visited attractions with more than 600,000 people each year. The rich minerals of the water is reputed to help some people suffering from skin diseases and other ailments. The man-made lagoon is fed water from a nearby geothermal plant with water temperature in the bathing and swimming area averaging 37–39 °C (98–102 °F). When swimming in the Blue Lagoon, you are actually swimming on top of two different continents as Iceland sits on top of the Mid-Atlantic Ridge where the North American and European plates are separated approximately 2 centimeters a year. Spa amenities are Silica Mud Mask; sauna and steam baths that are carved into a lava rock; man-made waterfalls that are great for soreness and stiff muscles; different types of in water massages; beauty treatment for men and women; and a relaxation room that offers comfortable seating and soothing music. Reykjavík is gaining a reputation for being one of the world’s hottest places to party. The hot spots to socialize are bars, pubs as well as cafes (turning into bars after 6 p.m.) and live venues that suit different party moods. There are over 50 bars and clubs on the main street (Laugavegur) and small streets leading from it. Entry is free for most bars and clubs; however there is usually an entrance fee to live music venues. Because the Icelanders go out late, the party doesn’t get started until midnight on the weekends and go up to 5 to 6 a.m.! Places are usually packed at this time, so it is best to start the night a little earlier to ensure entry. However on weekdays (Monday-Wednesday) most bars are open until 1 a.m. It is also quite common to see people enjoying the night as they go from bar to bar (a pub crawl). If you are younger or look younger than the minimum drinking age (twenty), make sure you bring your ID. In regards to attire, the dress code is generally smart and some places do not allow jeans and sneakers. Iceland is an enchanting country that has picturesque landscapes, exciting outdoor activities, a unique answer for relaxing and a hopping nightlife. 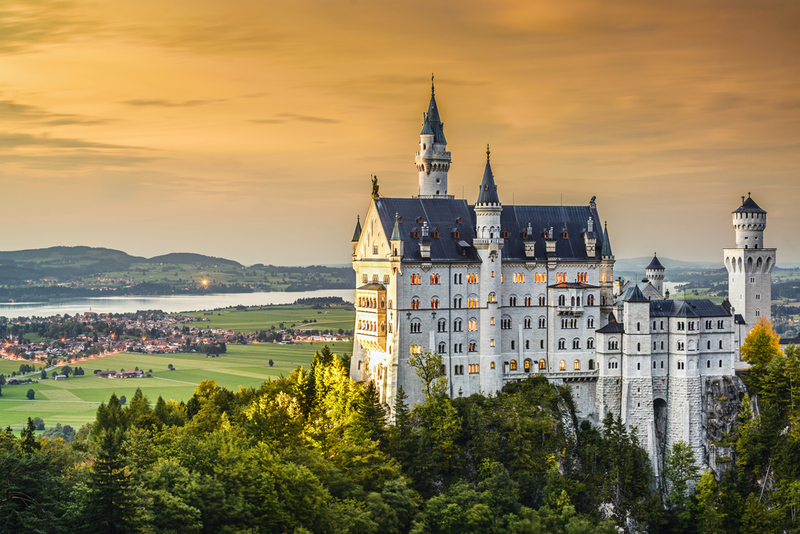 If you want to discover everything this mystifying island has to offer, you can catch a flight out of Frankfurt directly to Reykjavík with Icelandair from Stuttgart with German Wings. Both flights take around 3.5 hours.